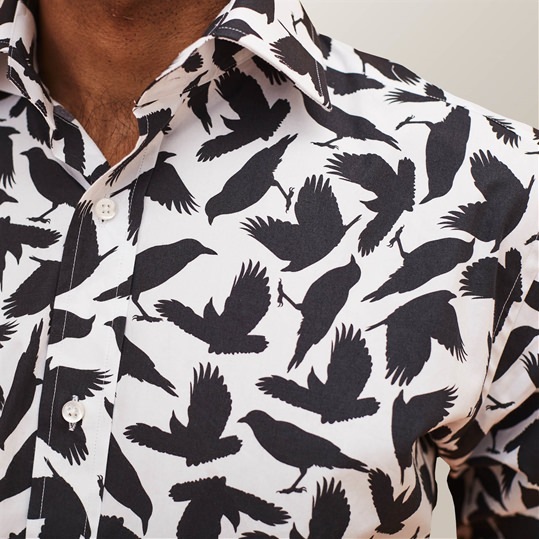 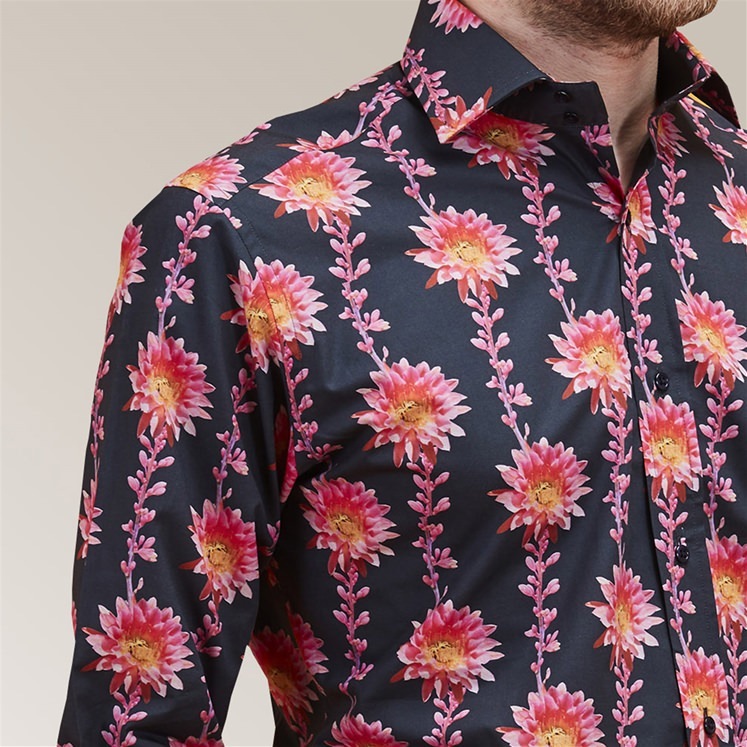 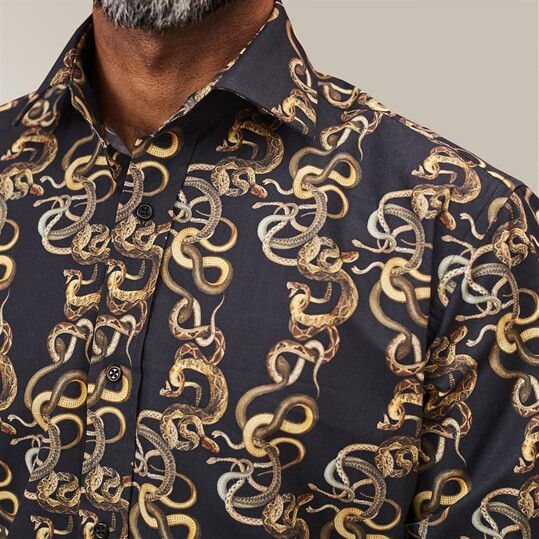 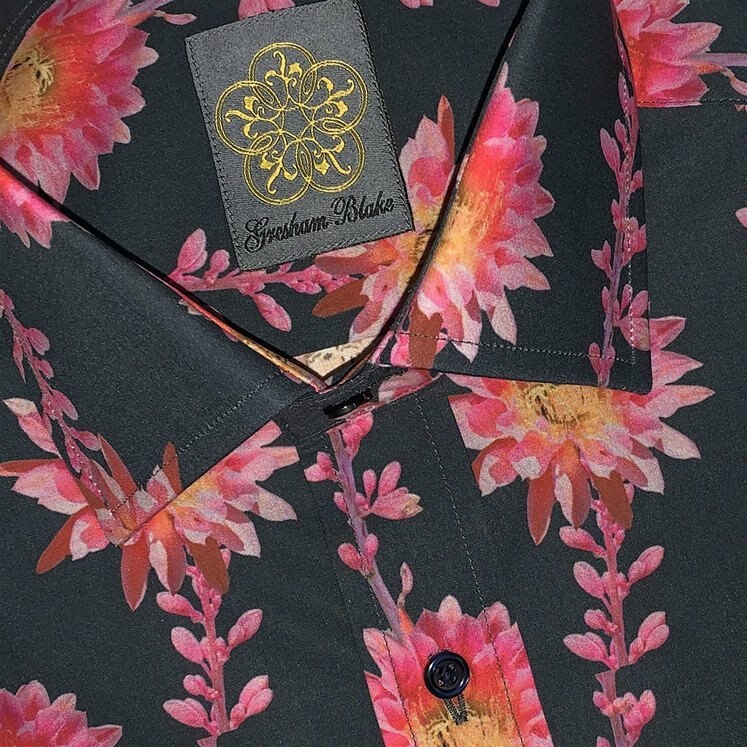 Mens floral patterned shirt from Gresham Blake. 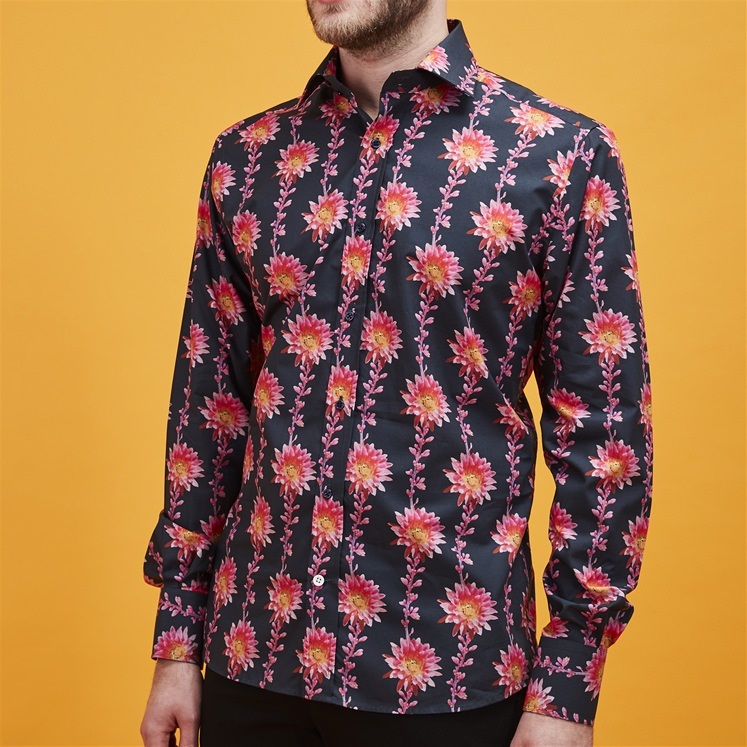 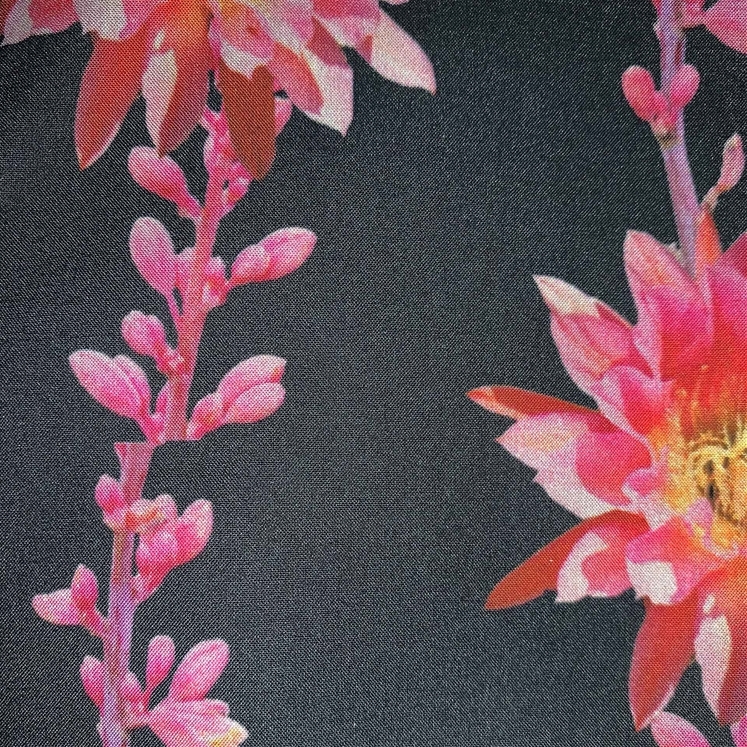 A bold design in black with vibrant pink desert flowers. 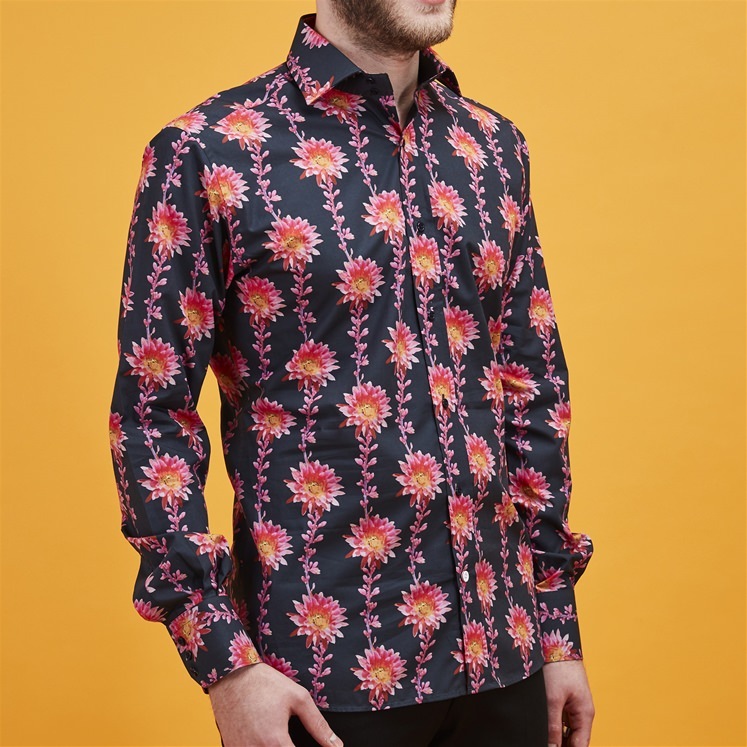 Single cuff, semi cut away collar, classic fit and a limited edition design.